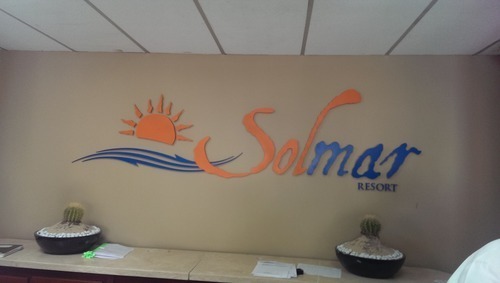 The Solmar Resort is part of the Solmar Hotel & Resort collection. 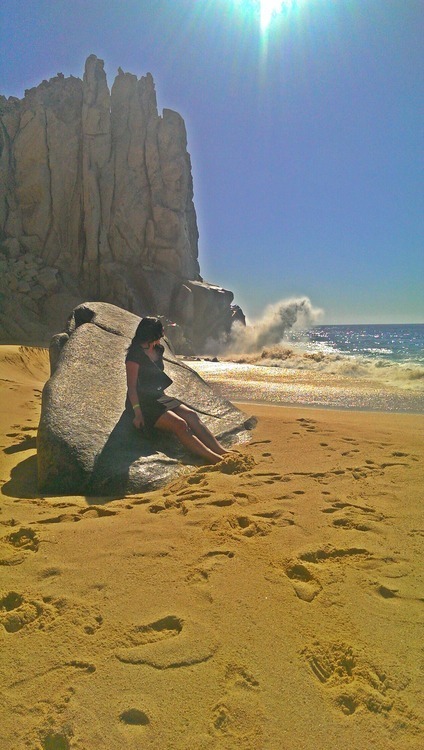 It is a beautiful oceanfront resort surrounded by granite cliffs located in a secluded beach just 10 minutes away from the Marina, shopping and nightlife of Cabo. To start with, one of the many things I loved was that every room in the property is a suite with a small kitchen and balcony! The property is well kept and all of the staff is really friendly and helpful. It is great to stay at a resort where everyone constantly makes you feel at home. 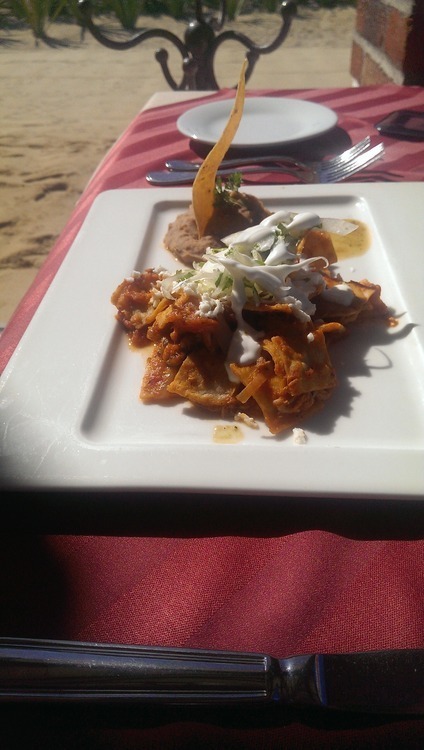 Their all inclusive includes breakfast, lunch and dinner along with drinks (alcoholic & non-alcoholic). Your food options include sushi from their sushi bar, snacks and food from their restaurant bar Trebol and their restaurant Trejaban. If you get tired of their food they offer you a discount at two of their outside restaurants, not included in the all inclusive package. 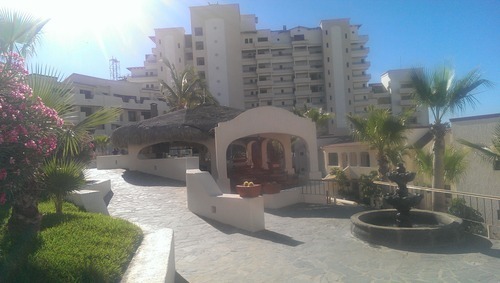 You can also use some of the facilities (the pool & tennis courts) at their sister resort Playa Grande. 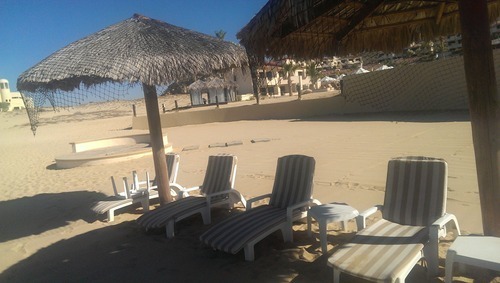 For our trip we remained at our resort because we wanted a place to relax with not many children around. Solmar has 3 pools and a Jacuzzi. The middle pool has a swim up bar, which definitely ended up being my favorite! 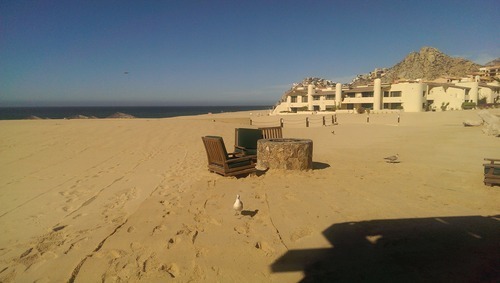 They also have sun chairs on the beach you can layout on as you watch the Pacific Ocean. Since the waves from the Pacific Ocean are pretty strong you can’t swim in it. However, you can always take the boat up to lovers beach and get in the water there. I highly suggest you ask for a “dirty monkey” or a “tornado” from the swim up bar. 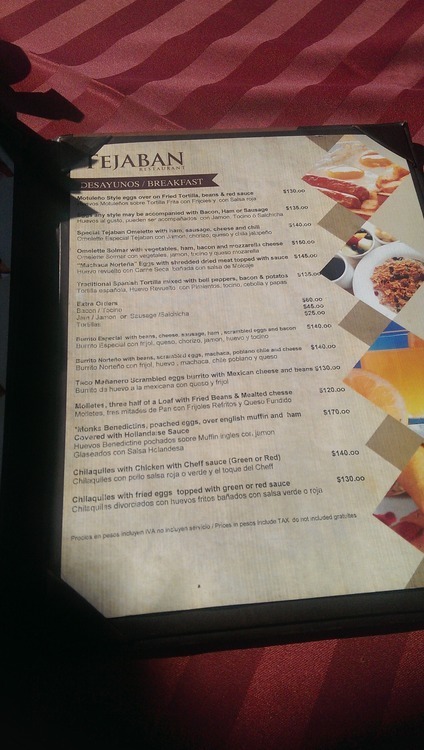 Keep in mind in your all inclusive package you get all domestic drinks but not premium (ex: patron, grey goose etc). After you hangout by the pool and have a few drinks make sure you walk up and down the beach. The sites are absolutely beautiful and you will capture some great pictures of your trip. 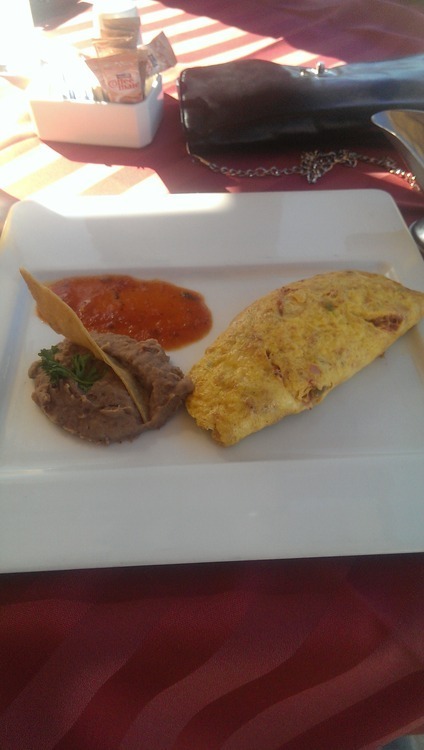 During our stay we were able to have food from the Trebol restaurant the first day we got there. I ordered the Ceviche which was pretty good, it had a great lemon taste to it just how I like it. If you like seafood I recommend you try it. My boyfriend ordered the “Chicken wins & fries” (spelled just like that, not sure if on purpose or not) which he thought were “ok” since his taste buds were getting over a cold. Alfredo, the waiter/bartender there, made me a Mai Thai which I absolutely loved! If you stay here make sure you ask him for one! For breakfast we ate at Tejaban. 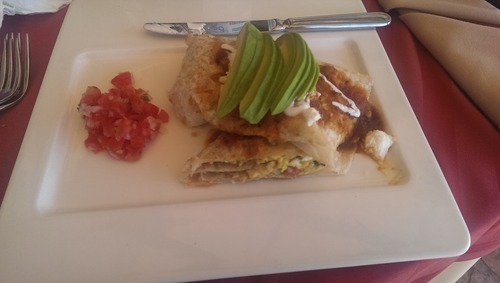 My favorite meals were the bagel with smoked salmon and cream cheese, the Chilaquiles and the omelette. I definitely recommend staying here if you want privacy and comfort but you still want to remain close enough to the Marina and nightlife. I will most definitely be back. Ever considered a cruise instead of all inclusive hotel travel? I have done a cruise and its a great option for those who dont mind spending time in the sea! Is the ride to the swimable beach included In the cost, or is it extra?